Contact Ball is the graceful, relaxing and mesmerising art of making balls dance. This is the definitive guide to Multiball Contact with 2 to 11 balls; Palmspinning, Pyramids, Snakes, Formations, Morphing and a whole load of Technique. 16 Lessons explain all the techniques you will ever need to master Multiball Contact. 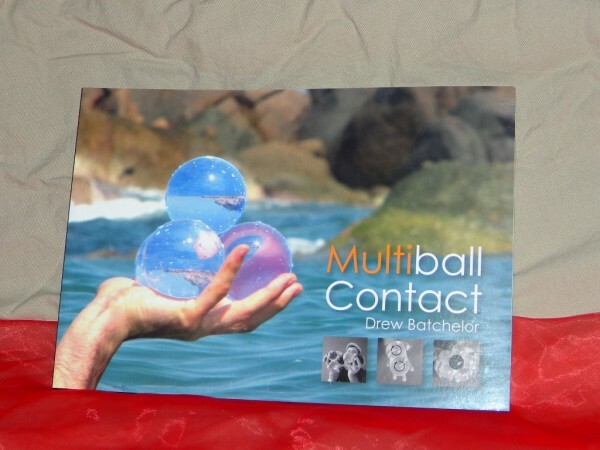 14 Chapters of Inspirational Moves reveal the secrets of Multiball Contact, from absolute beginner to super advanced. Weiterführende Links zu "Multiball Kontaktjonglage"